The mass of Neptune is 1.02×1026 kg. That’s a pretty big number. If you wrote it out, it would be 102,000,000,000,000,000,000,000,000 kg. That’s still hard to wrap your brain around, so let’s give you some context. The mass of the Earth is 6 x 1024 kg. In other words, the mass of Neptune is 17 times the mass of the Earth. 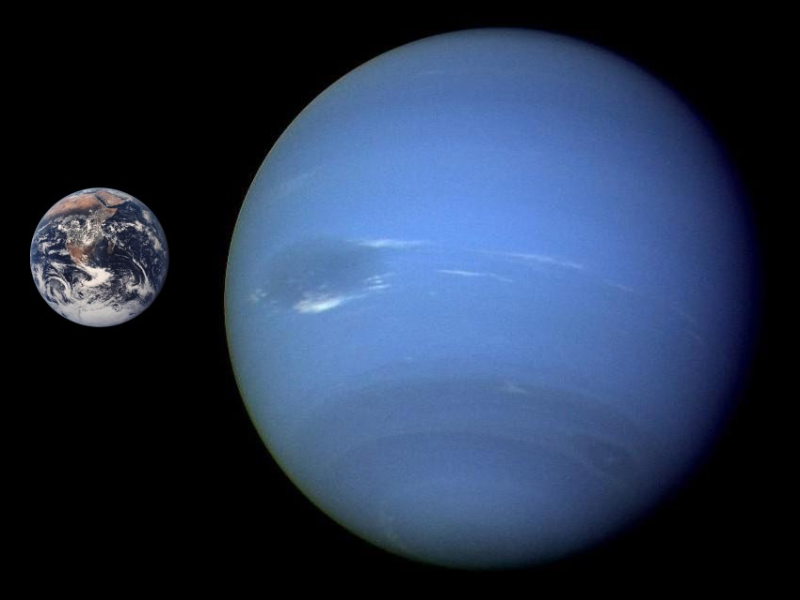 Neptune is actually more massive than Uranus. Uranus has only 14.5 times the mass of Earth, while Neptune has 17 times the mass of Earth. Of course, the mass of Neptune is pretty tiny compared to some of the more massive objects in the Solar System. Neptune has only 5% the mass of Jupiter, and you could have 19,400 Neptunes to match the mass of the Sun. We have written many stories about Neptune on Universe Today. Here’s an article about how it might have used its mass to capture Triton.